Jackie (Jack) Dean Merrell was born on June 1, 1945, to Wilburn and Opal (Buckner) Merrell at Oildale/Bakersfield California. He went home to be with the Lord and reunite with his family on April 6, 2019. Jack loved to go hunting and fishing from an early age with his dad, uncle Louis, and uncle Laurel Buckner. Trips to Greenhorn Mountain and Lake Isabella with his friends and family were what he enjoyed the most. As he got older, Jack, Gary Buckner and Gene Boyd continued to carry on the family traditions. In 1974, Jack moved to Licking to be closer to his parents, who had moved back in 1972. His joy of the outdoors started in California and continued in Missouri. Jack's first deer season in Missouri, he was awarded the first-place trophy in Texas County (1974) with a perfect 10-point buck that he was very proud of. 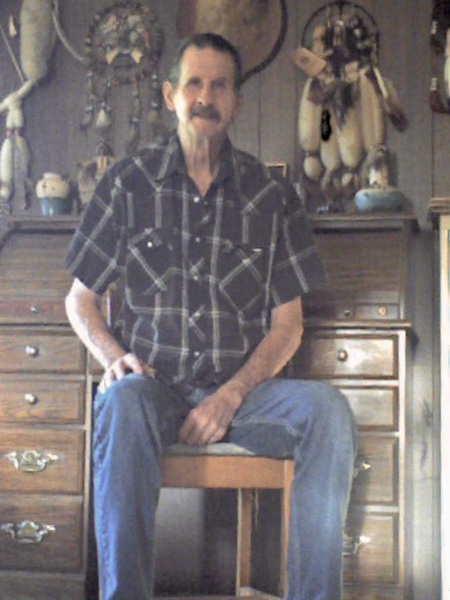 Along with deer hunting, his neighbor and friend Maurice Wade got Jack into turkey hunting, which he loved. Jack’s other love was racing and cars. Before moving back to Missouri, Jack raced in Bakersfield, Calif. at Famoso Drag Strip, where he was seldom beat. In Missouri he continued to race his ‘65 Dodge Coronet through encouragement by local kids. He could not resist a good race, sometimes leaving his job at Otasco to race down Highway 63. Jack had several jobs during his career, from the oil fields in California to being out of the country in Iran, where he was an instructor of helicopter hydraulic systems. He ended his career by retiring at Cantex in Rolla. Jack's favorite occupation was owning his own business, J and J Post Company, and working with his son, Dean, peeling pine poles. In his past-time after retirement he enjoyed his family, riding four wheelers, and surfing the ‘net. Jack is preceded in death by his parents, Wilburn and Opal Merrell; sister, Octava Jean (Merrell) Freeman. Jack is survived by two sons, Don and his wife, Kimberly Merrell of Rolla; and Dean and his wife, Windy Merrell of Licking. Jack was blessed with nine grandchildren: Donnie Merrell, Jessica Tucker, Mathew Merrell, Brittany Calvez, Amber Merrell, Trisha Merrell, Ethan Merrell, Drew Mayes, and Alyssa Mayes. Jack was proud of his 14 great grandchildren. He has many other extended family (nieces, nephew, and etc.) and friends that reside throughout the United States. Visitation was held at the Fox Funeral Home in Licking, from 6 p.m. - 8 p.m. on Tuesday, April 9, 2019. Services for Jack D. Merrell were held on Wednesday, April 10, 2019 at 11 a.m. at Fox Funeral Home. Pastor Mike Gorman led the ceremony. The pallbearers were: Jerry Jackson, Tom Todaro, Eric Steffen, Mike Gyovia, Noah Cantrell, and Jimmy Lancaster. Interment will follow at Craddock Cemetery. In lieu of flowers, donations may be made to the Jack Merrell Memorial Fund, c/o Fox Funeral Home to assist with funeral arrangements.